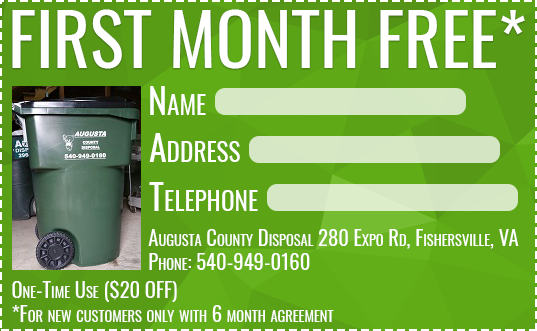 Welcome to our web site, going green with Augusta County Disposal. We are now offering free recycling with our service. Scroll down this page for a new customer first month free coupon. Once a week curbside trash hauling service & recycling service we supply your container and reliable service you can count on Augusta County Disposal. Sign up for our trash removal service today.